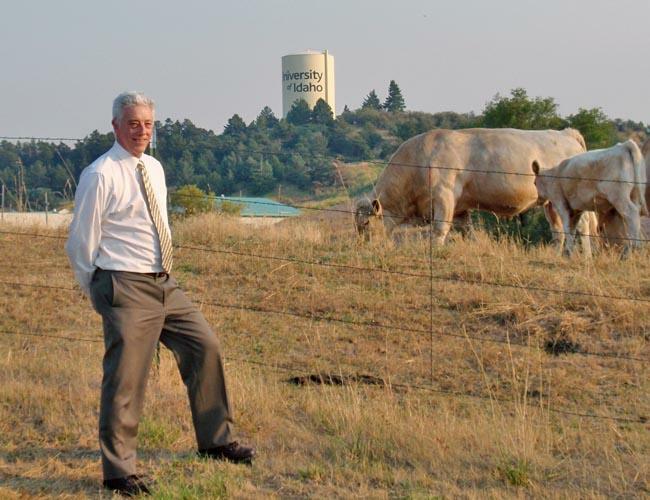 University of Idaho Professor Rod Hill and part of the university's purebred herd. Now ranches and feedlots are looking to cut their feed costs in the short term. And longer term, have an eye on making the cattle themselves more efficient. "These animals for your eye and mine, they look quite homogenous. But the variation in intake for animals growing at the rate is of the order of 35 percent." Drought Affects Large Swaths Of U.S.